In this video Mark Donovan of HomeAdditionPlus.com shows how to prep a staircase for the installation of a wood floor. As part of preparing a staircase for wood flooring, listen and watch Mark explain and properly show how to remove carpet, carpet padding, tack strips and various tacks and nails from staircase treads and risers. Remove Carpet from StairsThe first step in prepping a carpeted staircase for wood flooring is to remove the carpeting.Use a pair of pliers to lift up one end of the carpeting from the top stair tread and associated carpet tack strip. Then, using your hands, pull the section of carpeting up from the stair tread and from the stair riser. Continue on with this process down the entire staircase. Once you’ve removed all of the carpeting from the staircase, next remove the carpet padding. Again, use a pair of pliers, or your hands, to pull the carpet padding up from stair treads and risers. You may want to wear work gloves when doing this, along with safety glasses, as there are a lot of staples holding down the carpet padding. Next remove the tack strips from the stair treads. Use a hammer and prybar to remove the tack strips. Tap the prybar underneath one end of the tack strip using the hammer and then twist the prybar to lift the tacks trip up and away from the stair tread. Lastly, remove any residual staples or nails that have been left behind on the stair treads and risers using a pair of pliers. Then, vacuum the staircase to remove any debris or dust from the stair treads. 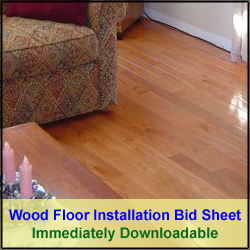 Now you are ready to have your new wood flooring installed!